You are here: Home � All Deals , Featured , Retail: Clothing Toys Baby Shoes Children � Get 3 different Dr. Seuss Board Games for $5 each: Sing Your Heart Out!, Oh the places you'll go!, and Oh the wonderous places you'll go travel card game! Get 3 different Dr. Seuss Board Games for $5 each: Sing Your Heart Out!, Oh the places you'll go!, and Oh the wonderous places you'll go travel card game! Get 3 different Dr. Seuss Board Games for $5 each. 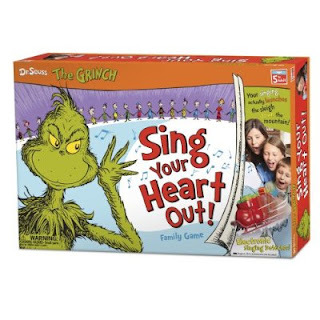 Amazon is offering 3 games: The Grinch - Sing Your Heart Out!, Oh The Places You'll Go! Board Game, and Oh The "Wondrous" Places You'll Go! Travel Game. As a brand Dr. Seuss boardgames have a heavy emphasis on instilling confidence in children. Sing Your Heart Out is a game based on teamwork and collectively singing to acheive a victory. Oh The Places You'll Go! is similar to the popular game of Life - it has a heavier emphasis on choosing your future though then the typical Life board game. Oh The "Wonderous" Places You'll Go! is a geography game. You'll have to identify places and learn fun facts about the world along the way. If you are interested in learning more about this trio of board games you can click here.